Today I read one of my favorite author's blog posts. John Maxwell is courageous, instructional, inspirational and a blessing. His view on Leadership is commendable and although I do not lead anything at the moment, I have in the past and I will in the future. But let me tell you this, in our own small way, in our own back yard and within our circle we really do have an influence and even moments of leadership with those we cherish, that we love and that we work with each day. I will continue to glean from this Godly and influential man wisdom and insight to be a better person, to be a better leader. When I learn from those who have Godly influence and Godly wisdom I will be prepared when I am called forward to lead wherever it might be (i.e., small group, prayer group, women's group or even on the job and in my home). My take on one of his latest posts, Maturity - The Value of Learning, was that unexpected losses and setbacks occur in life. This is just living so as we live we work through the emotional baggage that comes through the loss so one should not stymie oneself from gleaning from the experience at hand. 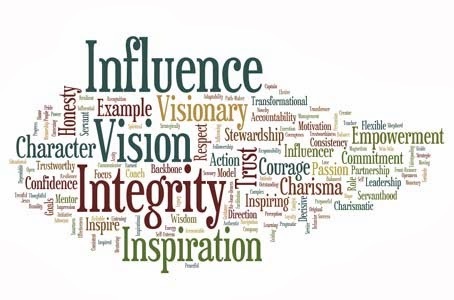 The lines I read between told me that by being open I learn, grow and develop the character traits needed to move forward with resolve so that I enrich those within my circle of influence, so that those enrich the people in their circle and so on. I envision this as a pebble in a brook that skips to ripple the water forward and again, and again, and forward so that this brook (the people in our life and the people in their lives) grow. We learn as we grow and in growth comes maturity. I look forward to reading his new book, "Sometimes You Win, Sometimes You Learn" to realize more truths in this concept. Long ago I wondered why I continued to face trials, tribulation, pain and learning curves and then one day as gentle as a breeze the Lord impressed upon me that I was not yet ready for what He was preparing for me until I had learned what was needed to do the work He has in store for me. It isn't an easy road by any means but my Father is faithfully and patiently working me through the fire to refine me and with each hiccup (really that is more kin to what I view as trials) I learn a little more, grow a little stronger, seek a little further. I am on God's learning curve and with each day that I live I see that a lifetime of lessons keep me growing from one season to the next.